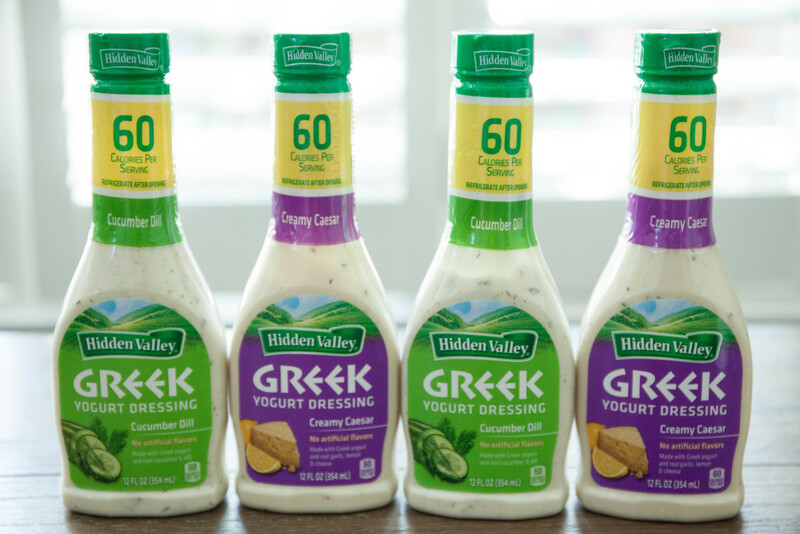 I was lucky enough to review the new Hidden Valley Greek Yogurt Cucumber Dill Dressing. I liked the fact that it was a Greek Yogurt which means it packs more protein, but I equally excited to see that it was only 60 calories per serving. 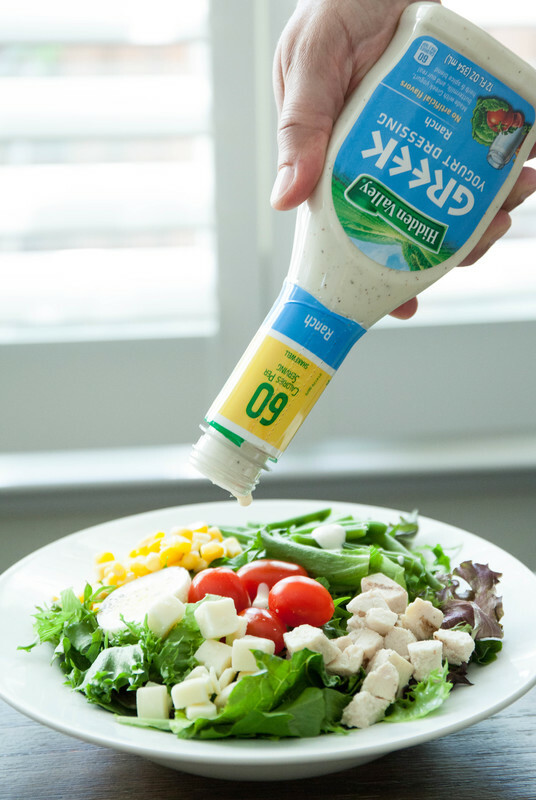 A much lighter dressing when compared to the Original Ranch Dressing that has 50% more calories. My first thought was to of course try it in a salad, but then I stopped myself. I wanted to think outside the box on this one. After all, salad dressings can be used for many things. I’ve done marinades with them, created sauces for dipping veggies and even baked in more savory dishes it. When I think of Cucumber Dill, I think of Salmon. Everyone who knows me knows I’m not that big fan of Salmon, but make it often because my husband and daughter love eating it. 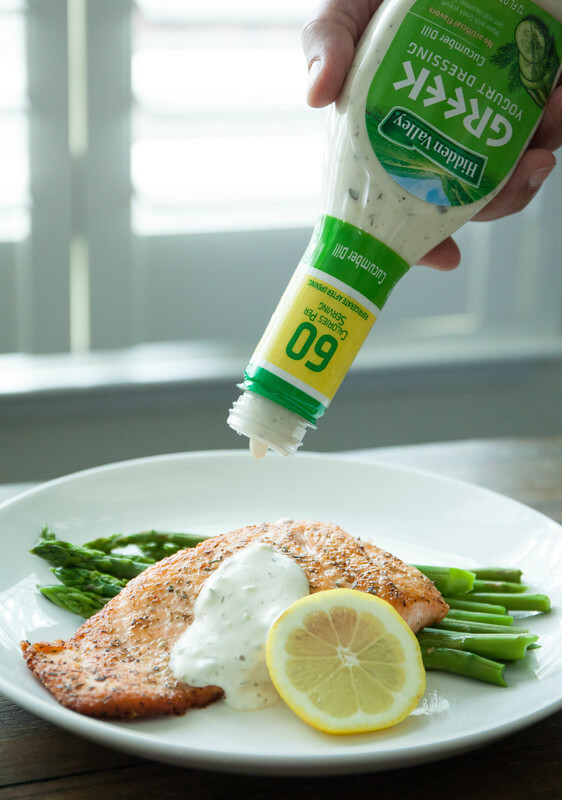 By adding the creamy Hidden Valley Greek Yogurt Cucumber Dill as a sauce, it made my salmon savory and delicious. The tang of the sauce with the subtle dill made it mouthwatering. It definitely took my simple salmon recipe and kicked it up a notch. Evenly season salmon fillets with garlic powder, onion powder, oregano and sea salt. In a large non-stick pan heat avocado oil to medium heat and add salmon. Cook on both sides for 3-4 minutes or until done. Remove from heat and cool for 5 minutes. Squeeze lemon juice and add a dollop of Hidden Valley Greek Yogurt Cucumber Dill. This is a sponsored conversation written by me on behalf of Hidden Valley. The opinions and text are all mine.